In September 2010 a 100-year old sailing boat, the Noorderlicht, set sail for the Arctic as part of the Cape Farewell project. On board was the award-winning Russian playwright, Mikhail Durnenkov. He was one of a number of artists and scientists who, for three weeks, lived and worked on the ship, exploring and debating climate change. 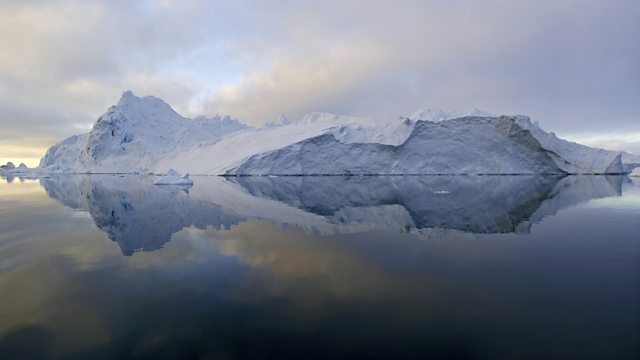 BBC World Service linked to Mikhail throughout the voyage and, on his return, he wrote On the Edge of the Earth, a play inspired by his experiences there. This is the first World Drama to be written in the Arctic (in 2005, Ian McEwan was one of the artists who took part in the Cape Farewell project, it inspired him to write the novel Solar). Starring, Tom Goodman-Hill, Indira Varma, Luke Treadaway, Nicholas Farrell, Ewan Bailey, Carl Prekopp, Helen Longworth, Gerard McDermott, Rachel Davies and Joanna Monro.